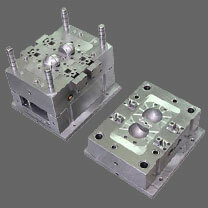 How to recruit Mold and Process Technicians? Home » Tips » How to recruit Mold and Process Technicians? You are not alone with your difficulty finding talented injection molding technicians. With the industry down turn cycles and mass closing of many molding companies most of the junior technicians got laid off and found work in other industries. Now that our industry has taken a positive upturn there is no one in the talent pool to fill these roles. I blame the bean counters for this problem. They sacrificed the technical floor personal to secure their profit margin, knowing that at some time in the future the industry would pick up. Now they are scratching their heads wondering what they are going to do. I suggest getting involved with your local high schools and technical schools to groom mechanically inclined individuals at that level. Look into offering internship programs year round for those attending two and four year plastic programs. Growing talent from the inside for this technical level is your best bet. The key is making sure that the trainer is not a CRUSTY and that this person has a good grasp of Scientific Technical Molding. He or she MUST be able to explain the WHY questions that will be asked by those being trained. If you are having a habitual problem finding good help, you need to start creating your own good help.